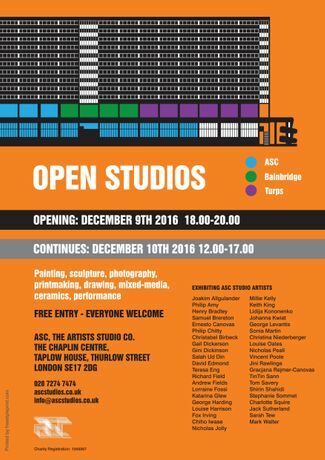 Over 40 artists open their studios at The Chaplin Centre SE17. Over 3 floors, the building is the work place of a variety of creatives, including painters, sculptors, photographers, printmakers and more. Along with ASC Open Studios, there will be an opportunity to see ASC Gallery’s current show Burning with Joy by Saelia Aparicio. 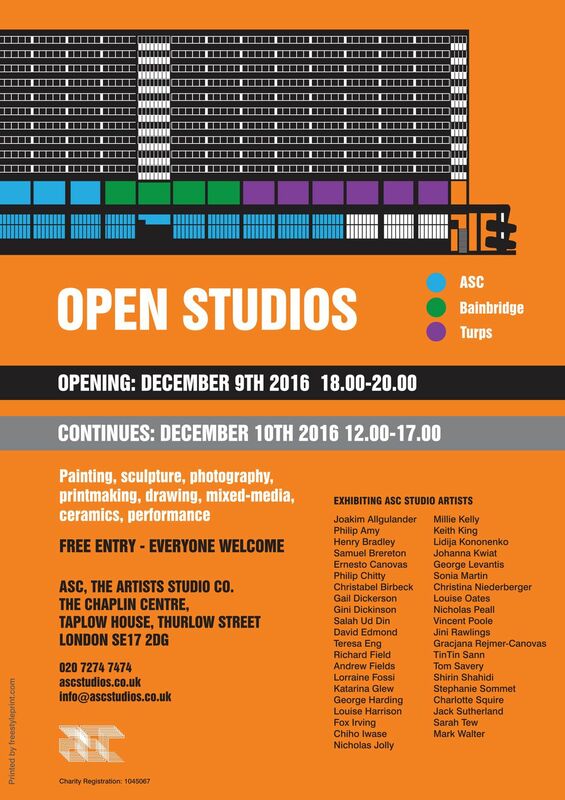 The event also coincides with the Bainbridge Print Studios open event and Turps Banana Work in Progress show and open studios. There’s plenty to see, all welcome.